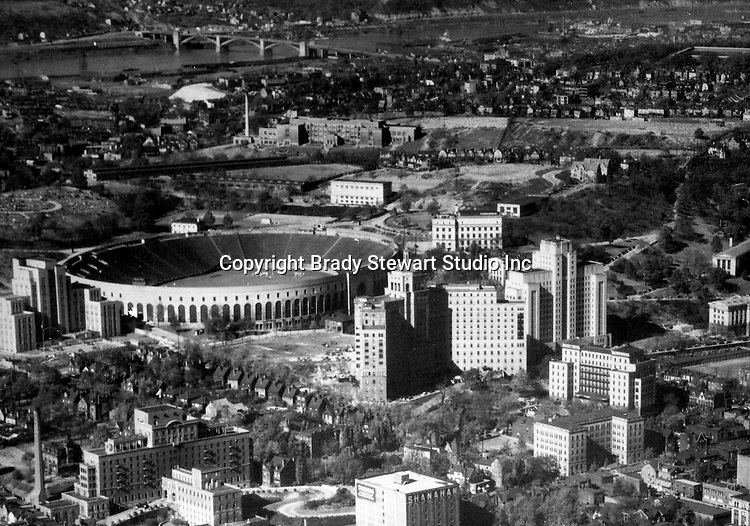 Pittsburgh PA: Aerial View of Pitt Stadium, Presbyterian and Children Hospitals - the Oakland section of Pittsburgh - 1952. Project was for Ingham, Boyd and Pratt. They were one of the premier architects in Pittsburgh and did a lot of work for universities, hospitals and local school districts in the Pittsburgh area. The successor firm is IKM, Inc.